Farewell, 2013. You brought some great things, and you left me frustratingly stagnant in others. But I went to 15 movies this year and I’m finishing out the year with a trip to The Lion King. So I can’t complain. On to 2014! I enjoyed last year’s recap so let’s recap my 2013 favorite discoveries. 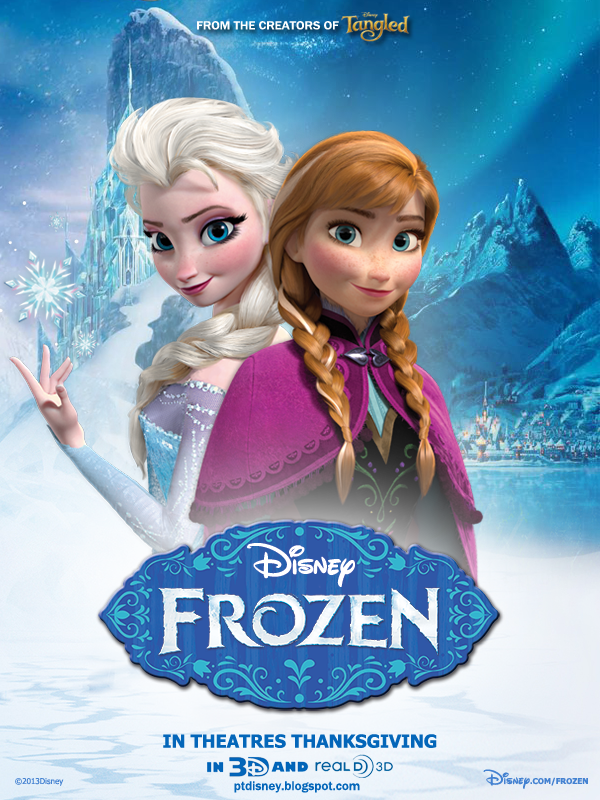 Favorite Movie – Frozen I saw a lot of movies I really enjoyed this year, many that will become favorites. But of all the movies I saw, Frozen stands out the most. Not only is it a beautiful film, but Disney did something with a fairy tale they’ve never done before. 1) We got two princesses for the price of one. 2) It’s not a story about romantic love. Of course it’s there, but that isn’t why the “Frozen Heart” has to be thawed. Nice work, Disney. Runner-up – Thor: The Dark World I feel like I’m not being fair to the summer movies, picking two from November. But I’m pretty sure this would still be true, no matter when I saw them. 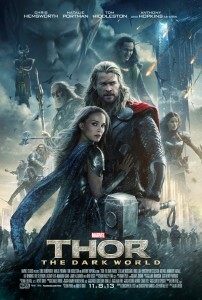 Why is Thor my runner-up, instead of Tony Stark? Or my ultimate favorite, Mr. Clark Kent? One word: Loki. Have I mentioned how much I love Loki? Because never has my love for a villain been so great. Favorite Book – Perfect Scoundrels I had a crappy year for reading. Not that the books I read were bad, but I could’t concentrate. I’ve had a bookmark in a book I’m really enjoying for MONTHS. As a result, my reading list is very small. Still, one book stands out, both for its narrative format and character development. It’s no secret I’m a huge Ally Carter fan, and this third Heist book didn’t disappoint. Instead, it was about growing up, taking responsibility, and learning how to handle clashing worlds. I love that it’s not stealing an object, but about Kat stealing Hale back from his old life, and her struggle with facing the fact that he may not be able to come back. 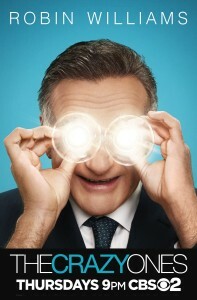 Favorite New TV Show – The Crazy Ones This show is—crazy. Ha. But that’s just it. It’s crazy, and it’s fun. I think the office dynamic is engaging, the characters are developing more every week, and Robin Williams vs. Brad Garrett is complete genius. It also makes me want to move to the city and work for a creative agency. 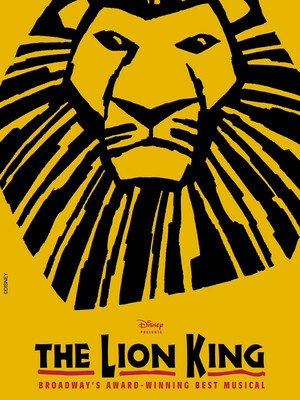 Favorite Theater Outing – The Lion King The Lion King has been my favorite movie since 1994. I keep thinking that maybe I’ll grow out of it, but nope. I still love it. A lot. As such, I’ve been wanting to see the stage show since they started running ads on the Disney Channel almost fifteen years ago. Many of my friends saw it in high school during its first tour; one was even so afraid to tell me that he flinched when I overheard him telling someone else (granted, the noise that came out of my mouth was flinch-worthy). I cried when I was sixteen in NYC, walking underneath the marquee of the New Amsterdam Theater, knowing we simply couldn’t afford to go. I spent college waiting for a tour to come to Utah, but it didn’t happen until just months after I left. It was closing in London when I was there in 2008, and sold out before I ever arrived. It was in Orange County when I moved in 2009, but sold out by the time I realized it. I almost pulled the trigger when I was in New York again last year, but my only option was going by myself and I just couldn’t bring myself to pay $90 to see it without someone. When they announced this tour, for my sanity, I had to make this work. Happy NYE to me!So yes, my favorite theater outing for the year is one that hasn’t happened yet, but it’s going to be my favorite. The end.